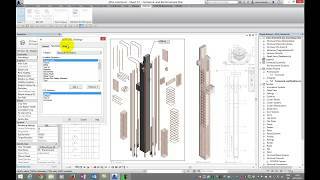 SOFiSTiK 3D-PDF Export extends the functionalities of Autodesk® Revit® through the generation of standard PDF documents with embedded 3D graphics. The 3D-PDF files can be opened by any PDF reader that supports the PDF 1.6 standard, such as Adobe Reader 7.0 or later. SOFiSTiK 3D-PDF Export uses the geometric definition of the elements in order to create an equivalent representation of the model in U3D format. Descriptive information about the particular Revit objects is embedded. The price for subscribing to a single user license is 25 USD per year (price excluding taxes). Please read the Software End User License Terms carefully before downloading, installing or using SOFiSTiK 3D-PDF Export. Support of PCR and U3D format to create interactive PDFs. Created 3D-PDF files can be opened on mobile devices. Level of detail (quality) definition for standard - and reinforcement elements. Support of Revit displacement functionality. Support for annotations in locked 3D views. Creation of custom parameter sets to export.